I recently read and reviewed the audiobook of This Dark Endeavor and fell head over heels for it. So much so that I felt compelled to request the ARC of Such Wicked Intent. I have no idea if Simon & Schuster will send me one, but given how rarely I actually request ARCs (like maybe I've requested 5 in the past two years) that should give you some idea of how much I want to read it. 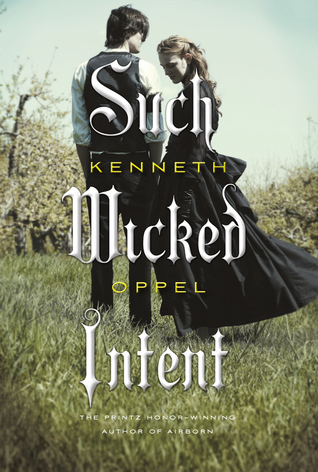 Kenneth Oppel is one of those authors who just doesn't get as much praise for his talent as I think he deserves. Dude can totally write. He managed to take a stale tome (Frankenstein) that many high schoolers dread reading in their English lit classes and breathe new life into it by introducing us to Victor Frankenstein as a young man. I am actually curious to read the Mary Shelly classic now and I'd never felt any sort of compulsion to read it in the past. This sounds really interesting. I hadn't heard of this series before.